When you were in high school who taught you what to expect in college? Or how to act in a professional environment? Maybe your parents, or a teacher, or a mentor? What about a professional development program? Urban Alliance does exactly that. My name is Zainab Yazdani and I am an intern in the Office of Economic Development at the Virginia Tech Research Center in Arlington, VA, through Urban Alliance. 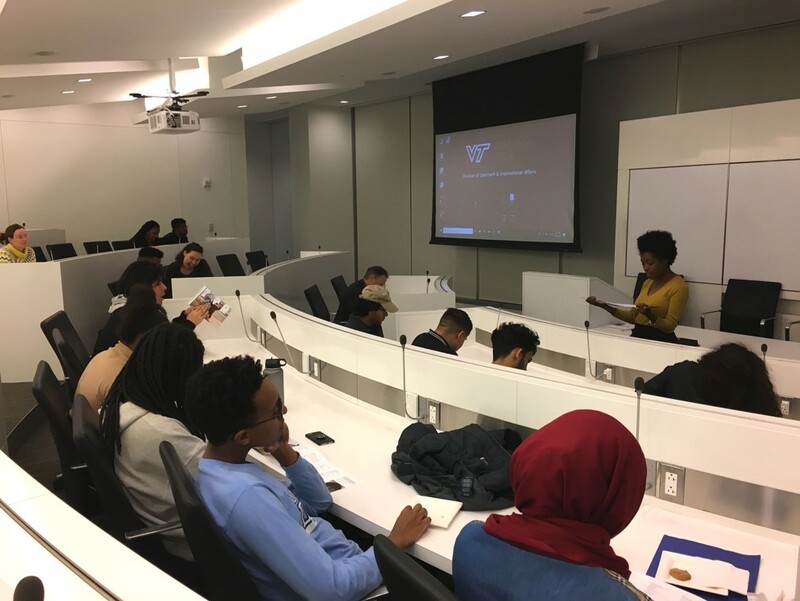 Urban Alliance is a non-profit organization that provides under-resourced high school students the opportunity to intern in a professional environment to learn the skills necessary for their future while assisting in their college admissions process. Virginia Tech began collaborating with Urban Alliance in 2014 to give students the opportunity to intern in the National Capital Region. Through Urban Alliance, Debby effectively used the skills she learned from her previous internship to secure her current part-time position as an event assistant for the Executive Briefing Center at Virginia Tech Research Center. In my perspective, the effect Urban Alliance has on students is phenomenal. For high school students, the opportunity to get a taste of the professional world and gain hands-on experience is invaluable. By interning in the Office of Economic Development, I am learning how to enhance my skills in research and writing, which aligns with my plans to major in English in college. By attending college workshops and panels provided by Urban Alliance for students in the program, I have an enhanced confidence in my post high school plans. The support they have shown me throughout the college admissions process is something I am endlessly thankful for. Written By: Zainab Yazdani. Zainab is currently a high school senior, thinking about what her future holds for her and the exciting opportunities ahead.